1. This is with the pre-amplification, bass divider processing. 2. 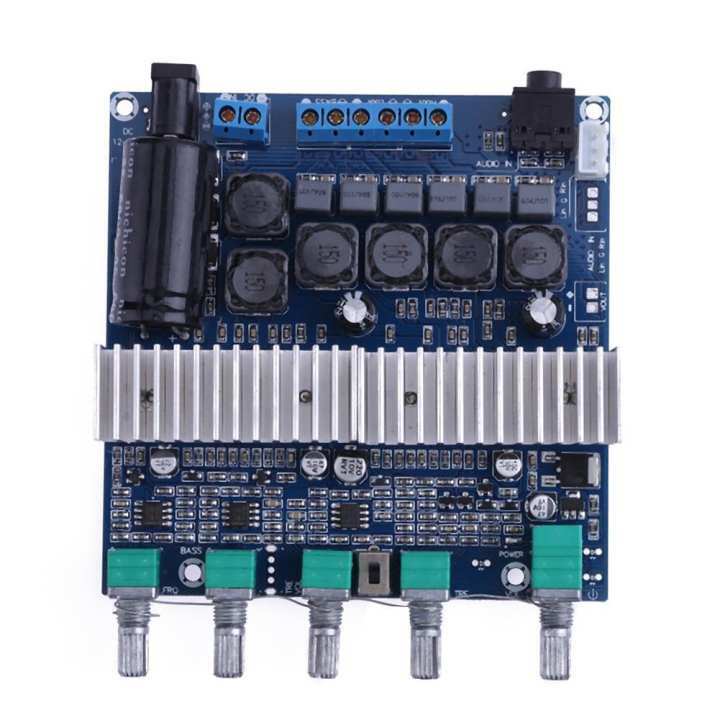 With bass, left and right channel volume adjustment, treble adjustment, total volume potentiometer control 2.1 power amplifier board. 3. Using DC 12-24V power supply, Maximum support 50W(Left CH)+50W(Right CH)+100W(BASS CH) three channel output. 4. Wide operating voltage, power-saving design, the efficiency of up to 90% or more. 5. Boot anti-shock protection design, boot no POP burst sound.